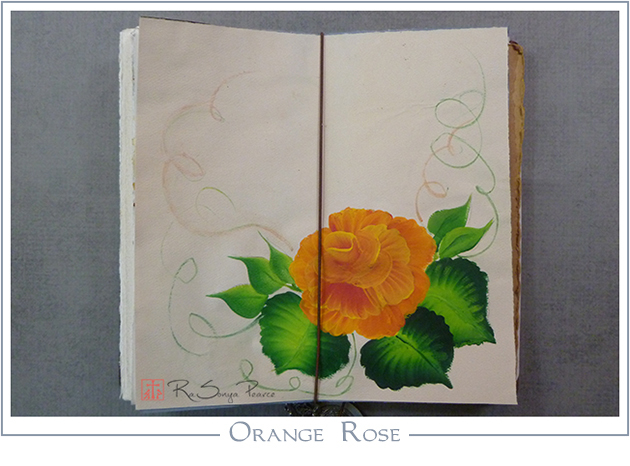 Today in my Midori, I used acrylic paint on pastel paper to do an orange rose for Art 365-16-20. I love playing with acrylic paint! After working in watercolor for so long it is a treat to be able to use colored papers, to build and paint over any area, and to be able to paint dark-to-light. Oooh, and the texture!! Acrylic paint is so awesome! If you haven’t tried it yet, go for it! 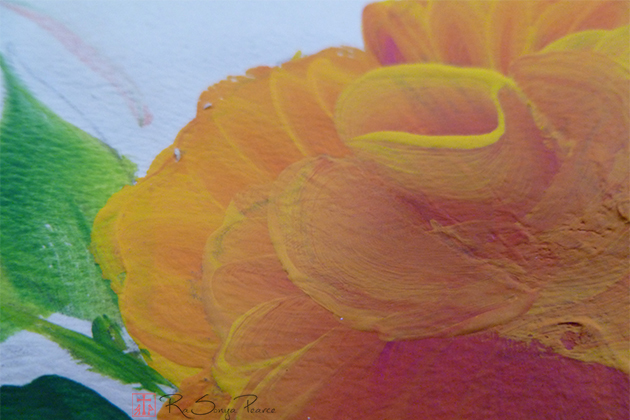 Quick tip- if you are going to be painting on paper, buy flow medium. Flow medium helps the paint to move over the paper and the paint doesn’t start dragging and giving a dry brush effect as quickly as without. Have fun and remember, faith works!